Nenneko-ya is different from the common cat cafe in Japan. It is an older Japanese style house that was renovated into a variety store & cafe where you can spend time with the owner’s cats. 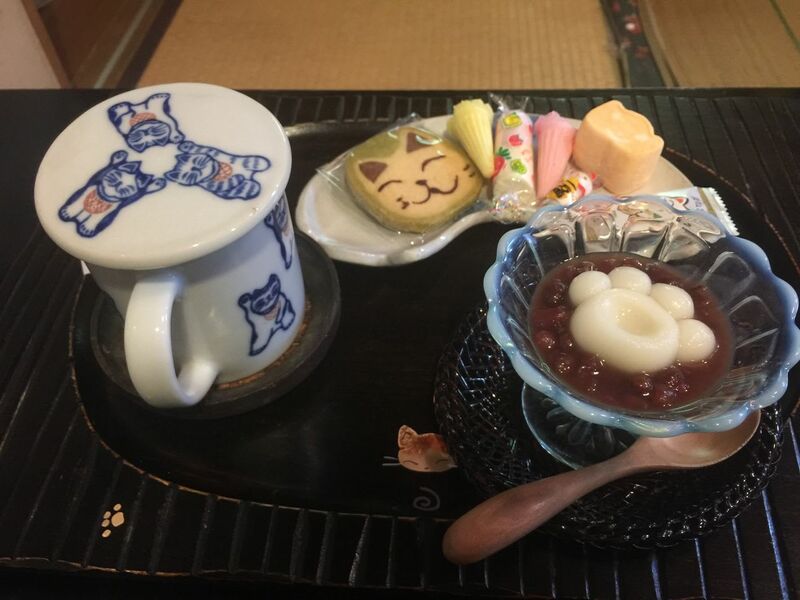 Nennekoya prides itself by specializing in cat goods while also serving lunch and sweets that are also served with cat motifs. Nenneko-ya is scheduled to close for a while in 2018 and is going to complete renewal plan to allow vacation rental accommodation at “Nenekono-yado”. If you want to learn more about Yanesen’s popular sweets and cafe, please visit the page fot the “4 Cafes and Dessert Spots in Yanesen”. Nenneko-ya, located in Yanesen area, is a cafe with the cats as resident. The owner’s cats are free to roam around the cafe. You can see them relaxing or playing with the visitors. There are times the cats are taking a walk outside. Nenneko-ya is the perfect place for those cat lovers who like spending time with and observing cats in an open and free environment. The cats move freely as the guests watching them, allowing guests to enjoy the unique environment. That’s the style of Nenneko-ya. The cafe is renovated Japanese style old house. 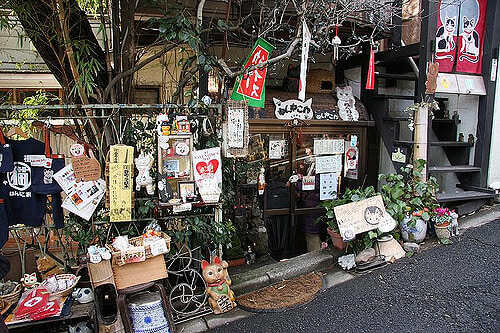 Thus it offers a nostalgic feel, while the owner’s cat dolls and other items displayed through out the place, create cozy atmosphere. 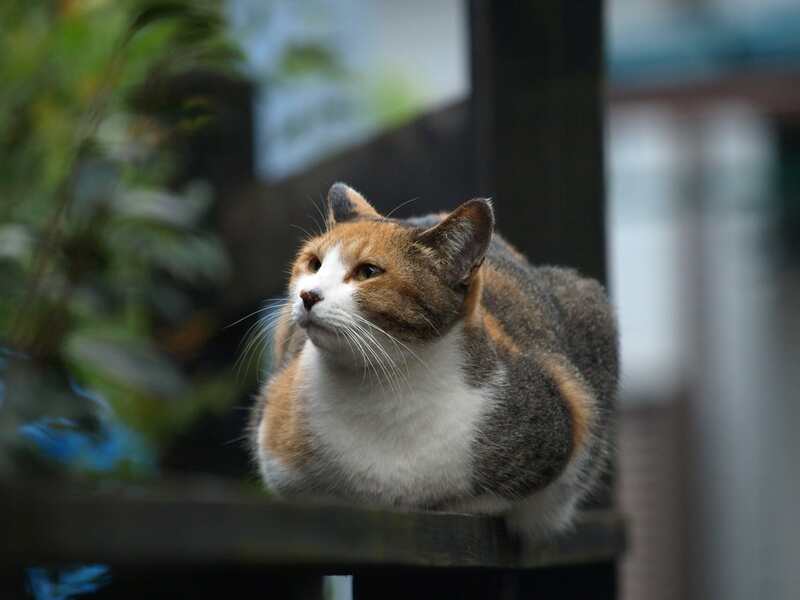 All the cats at Nenneko-ya are respected as permanent residents of the cafe by the owner. Nenneko-ya is an establishment that was founded before other cafes in Japan have started as so called “cat café” where you can pet and play with cats. Nenneko-ya has 25 years of history in Yanesen area. There are cats named Takuya, Sankichi, Michiko, Chobi and there are others. All the cats are cute and very adorable. Their lovable expressions and gestures are a must-see for all cat lovers. Nenneko-ya also has the privilege of receiving a lot of overseas visitors. It is their policy to accept customers who are over the age of 12. As Takuya, one of the cats is getting older and in need of special care, Nenneko-ya plans to close the cafe once in 2018. Thereafter reopening as “Nenneko-yado” in April 2019, as a place that will provide pleasant vacation rental accommodation where guests can experience life with cats as well as enjoying a long-term stay. Nenneko-ya offers a cat motif menu. One of the most popular dishes is called “Nyan Curry”. 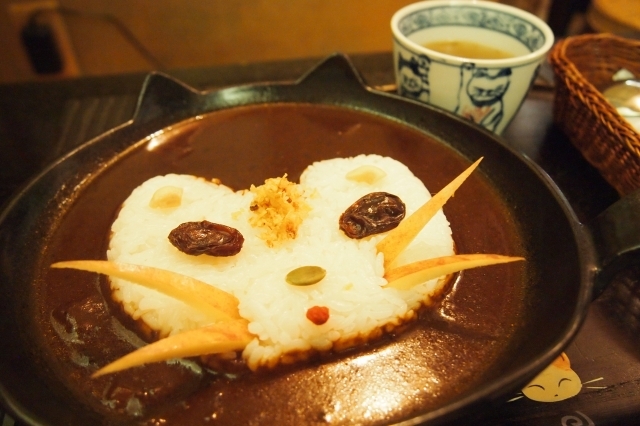 It is served on a cat-shaped white dish with the cat-shaped rice. The dish is decorated with the curry sauce surrounding the rice as well as eyes, nose and whiskers that are made using raisins and apple skins. It is a popular dish with a moderate spicy taste and extremely cute appearance. Cute and sweets cat motif desserts! There are also sweets using cat as motif. Cat paw shaped rice-flour dumplings would make those cat paw lovers crazy. Also, there are cat manju (bun stuffed with sweet bean paste) with various cat’s face printed on the top. The cat’s expressions are well re-created.